12 Sticky Slugs. Eeek! Strategically place stretchy, creepy Sticky Slugs to make people look twice! Include them in gift bag giveaways at children's parties. 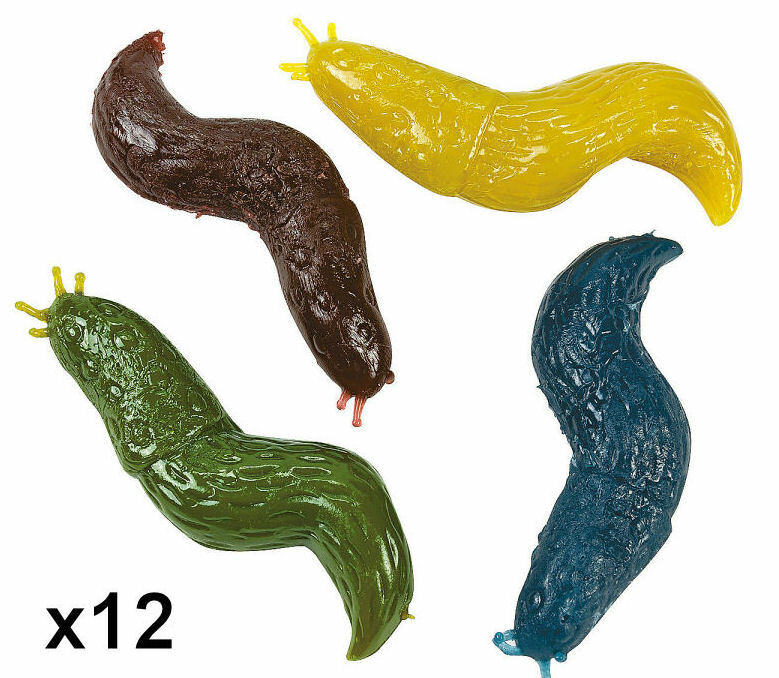 These 3" vinyl slugs come in brown, blue, green and yellowish colors. Bulk packed - no retail packaging. Each bag is individually bagged.